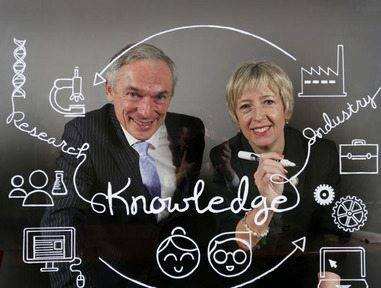 A new resource called Knowledge Transfer Ireland (KTI) has been launched to make it easier to commercialise State-funded research from third-level institutes – the first of its kind in Europe. It is the State-funded central technology transfer office, located in Enterprise Ireland and operated collaboratively by Enterprise Ireland and the Irish Universities Association. Making the announcement, Minister for Jobs, Enterprise and Innovation Richard Bruton TD noted that Ireland is currently ranked tenth out of 142 countries for innovation, while in Europe we’re ranked first out of 23 countries in terms of knowledge transfer performance of public research organisations. “However as I have said many times before, the challenge now is turn more of this spending into viable business ideas and ultimately jobs,” he said. “As of today, Ireland is the first and only country in Europe to give companies the opportunity to search multiple databases of the research talent, knowledge and technologies available in our publicly-funded research institutions.